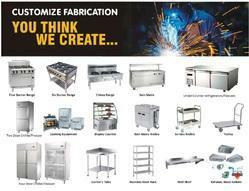 We are specialized in customize fabrication of all type of equipment's according to your kitchen. We are the leading supplier of SK 50 Spiral Mixer made available to our clients at competitive prices. 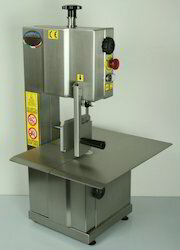 Bone Saw Machine are very professional machine perfect for the processing of all types of meat fresh or frozen. Suitable for butchers, fish shop, restaurants and supermarkets. Sturdy and easy to clean. AISI 304 stainless steel body. AISI 304 stainless steel door with security micro switch. The machine complies with EC hygiene and safety normative. Owing to the support of our deft professionals, we have been able to offer clients with a quality tested range of Vegetable Cutter. Our offered cutter is used for hassle free cutting of vegetables in desired sizes. Finding important utility in as kitchenware, this cutter is specially manufactured by utilizing premium grade components and the latest techniques. Moreover, we offer this cutter at highly affordable prices to our clients. Leveraging on our well established vendor base, we are enormously indulged in supplying and trading a quality rich plethora of Sous Vide Machine - Vacook. By providing this high quality and customized range of products to our patrons, we have earned huge accolades in the industry. Moreover, we make sure that our clients get these products within the specified time with a guarantee of flawlessness. Dimensions 580 x 405 x H340mm. 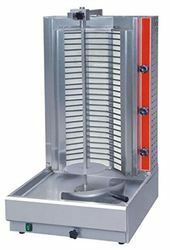 With the clear aim to provide quality products to clients, we are offering a quality array of Gravity Bread Slicer. 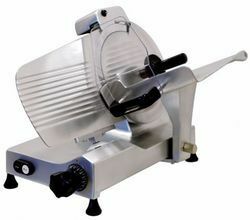 Extremely useful in providing highly efficient and accurate slicing, it is made available in different specifications. We take pleasure to be acclaimed as a quality centric organization, engaged in offering the best quality Food Processor. 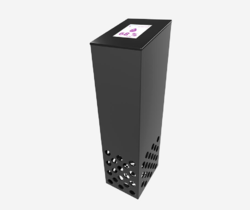 Manufactured with the use of top-notch quality components, the offered processor meets set market standards. Also, tested in defined parameters of quality, this processor is used in commercial food centres for processing food grade products in efficient manner. Apart from this, our clients can purchase this processor at reasonable prices. 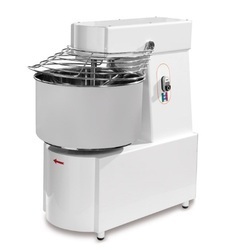 An appliance to obtain various food products on the basis of the utensil utilized. 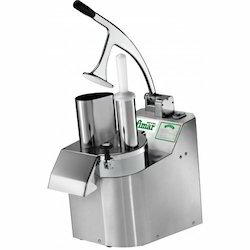 MIXER to realize minestrone, vegetable puree, sauces, batters, mayonnaise,tomato puree, pesto, etc. Entirely manufactured in stainless steel. WHIPPER to obtain whipped cream, custards, omelets, souffles, etc. Manufactured in stainless steel. Being a trustworthy and versatile organization, we are putting forward a quality assortment of Meat Slicer or Meat Mincer -TCS 12. This mincer is specially manufactured under the guidance of ingenious professionals by utilizing excellent quality electrical components. 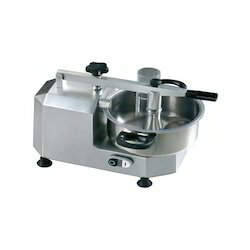 Used for mincing meat into desired pieces, this mincer is known is mostly preferred in various kitchens. Apart from this, our clients can purchase this mincer in both standard as well as customized specifications. AISI 304 stainless steel mouth, endless screw, knife, plate and hand wheel. 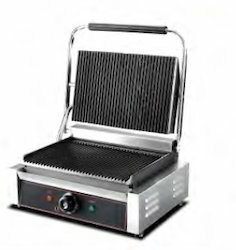 Our immense years of market expertise aids us to provide the finest quality Electric Table Top Deep Fat Fryer. The offered fryer is widely used for deep frying purpose in several kitchens. At our vendors’ well-equipped production unit, this fryer is precisely manufactured using superior grade components under the supervision of deft experts. Our clients can purchase this fryer from us in different technical specifications at industry leading prices from us. 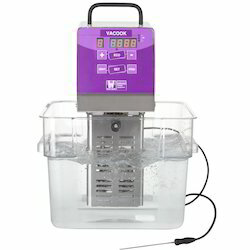 Leveraging on our well established vendor base, we are enormously indulged in supplying and trading a quality rich plethora of Sous Vide Equipment - Vacook. By providing this high quality and customized range of products to our patrons, we have earned huge accolades in the industry. Moreover, we make sure that our clients get these products within the specified time with a guarantee of flawlessness. Leveraging on our well established vendor base, we are enormously indulged in supplying and trading a quality rich plethora of Sous Vide Cooker - Vacook. By providing this high quality and customized range of products to our patrons, we have earned huge accolades in the industry. Moreover, we make sure that our clients get these products within the specified time with a guarantee of flawlessness. Electric and Gas based Shawarma Machines in 2 Burner and 3 Burner range. 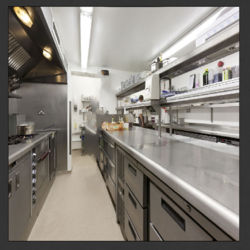 With years of experience in commercial kitchens we take this opportunity to introduce ourselves as an eminent suppliers and fabricators of commercial kitchen equipment's. 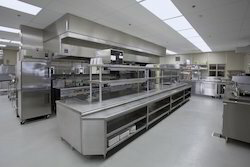 Keeping in mind the demands of clients we offer wide range of customized SS Kitchen Fabrication Service. Apart from it with over 10 years of experience in Hospitality Industry, we provide complete kitchen consultancy from designing to menu planning and training. Mish Horeca Services has a good experience of Facility Planning and Consultation of a department, i.e, Kitchen, Housekeeping for all sectors. We are specialized in manufacturing of commercial kitchen and belives in delivering best quality with affordable prices, timely delivery and prompt after sale services. With inhouse kitchen designing and fabrication facility, we are able to provide our customers best and customized solution.